Apple Watch is well and truly on its way to market, and while we’ve talked about the device itself ad infinitum, the apps will be just as important in determining its eventual success and longevity. At such an early stage, the selection is quite limited, but as per a page on the Watch section of the company’s website, we can enjoy a little glimpse of what’s to come. 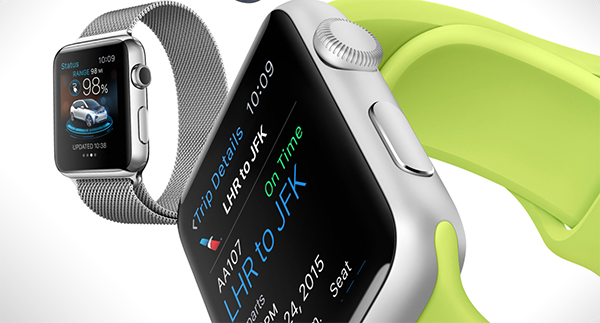 The variety is fairly broad, and will surely increase in the run-up to the retail date of Apple Watch. For now, most of the key categories are covered, with apps ranging from fitness and health to travel and sports, and as you’ll notice, the authors credited with some of the iOS App Store’s most iconic exports are behind most of them. Personally, I find having an app like Runtastic available at launch to be particularly good news. The iOS, Android and Windows Phone versions are all top-notch for those who like nothing more than to put one foot in front of the other in the name of leisure and fitness, and with Runtastic’s robust infrastructure already in place allowing keen runners to track stats, interact, and even cheer each other on, the introduction of the Apple Watch app will only enrich the experience. With the likes of The New York Times and ESPN on board right off the bat, users will be able to track the latest news and sport, and since Apple Pay will be a significant part of Apple Watch as a whole, it’s good to see the likes of Citi Mobile and Mint Personal Finance making the cut. With Twitter and Instagram adding to a respectable ensemble, social networking fans will find a happy home on the new Watch platform, but my personal favorite here is music-tagging service Shazam. Being able to detect and store detailed song info using a watch seems like the epitome of convenience, and having become a part of every music lover’s repertoire on iOS, it’ll surely be another staple of listeners who decide to buy Apple’s newest gadget. There’s likely to be a lot more where that came from over the next few weeks, though, and as we stumble across anything interesting, it’ll be covered here.